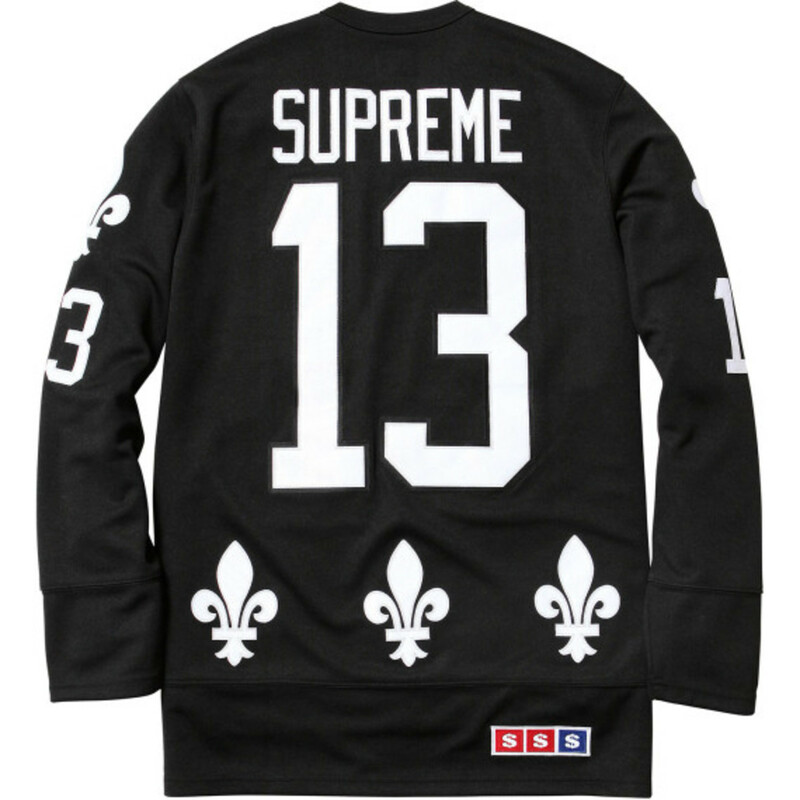 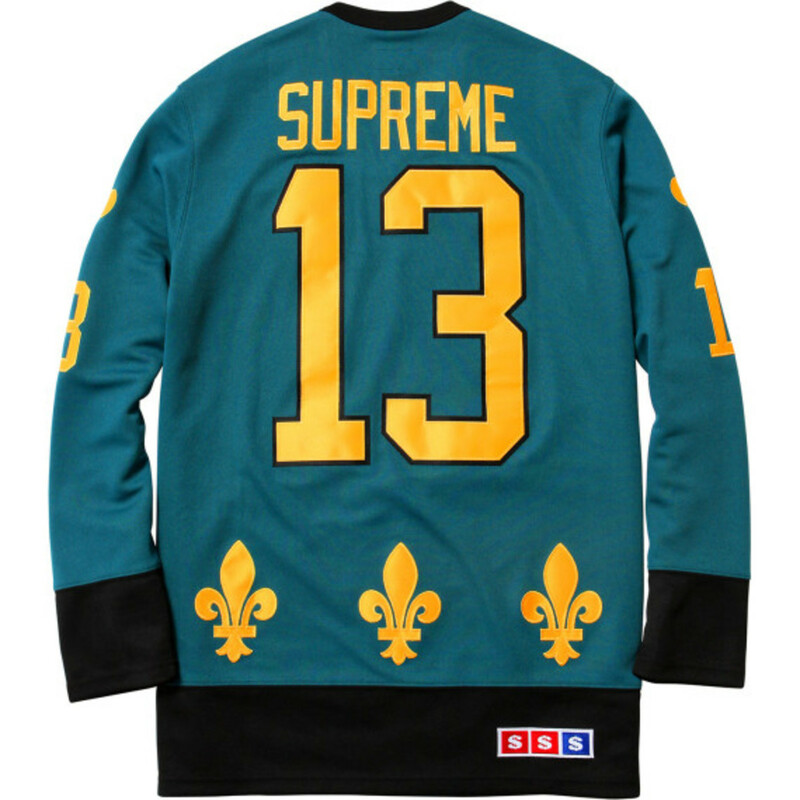 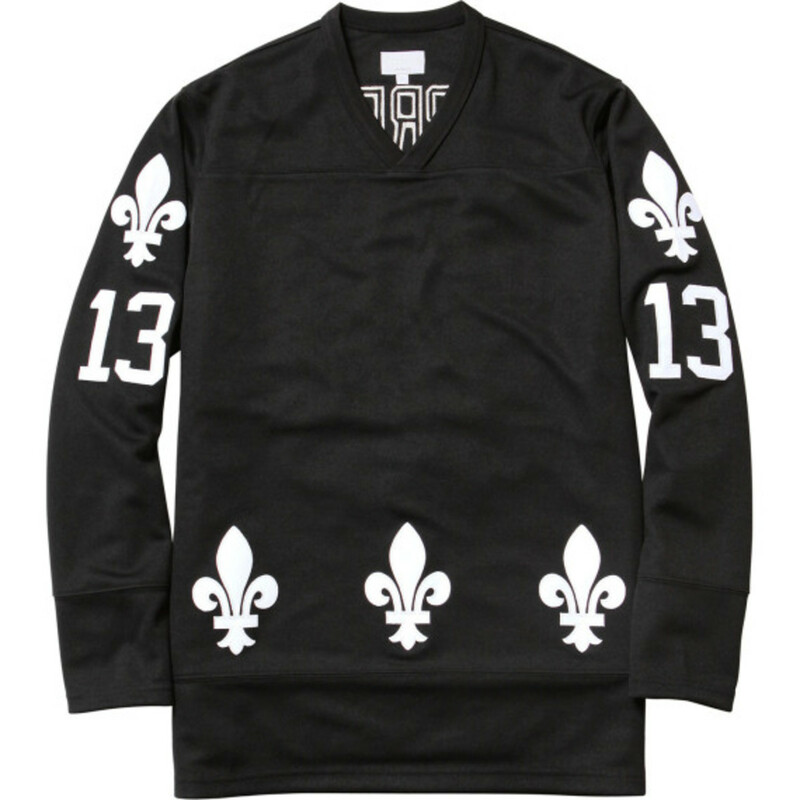 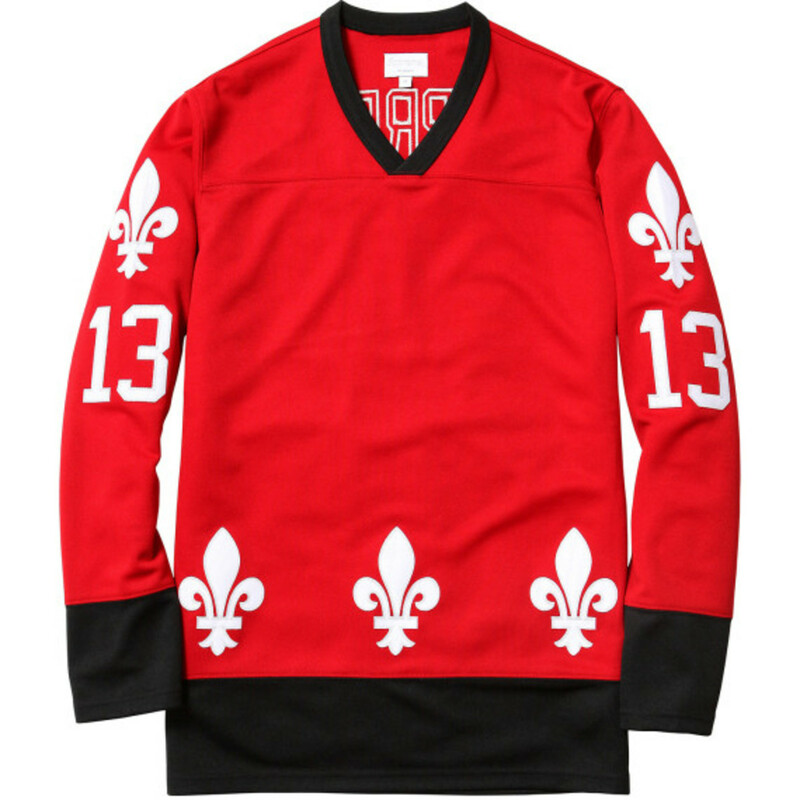 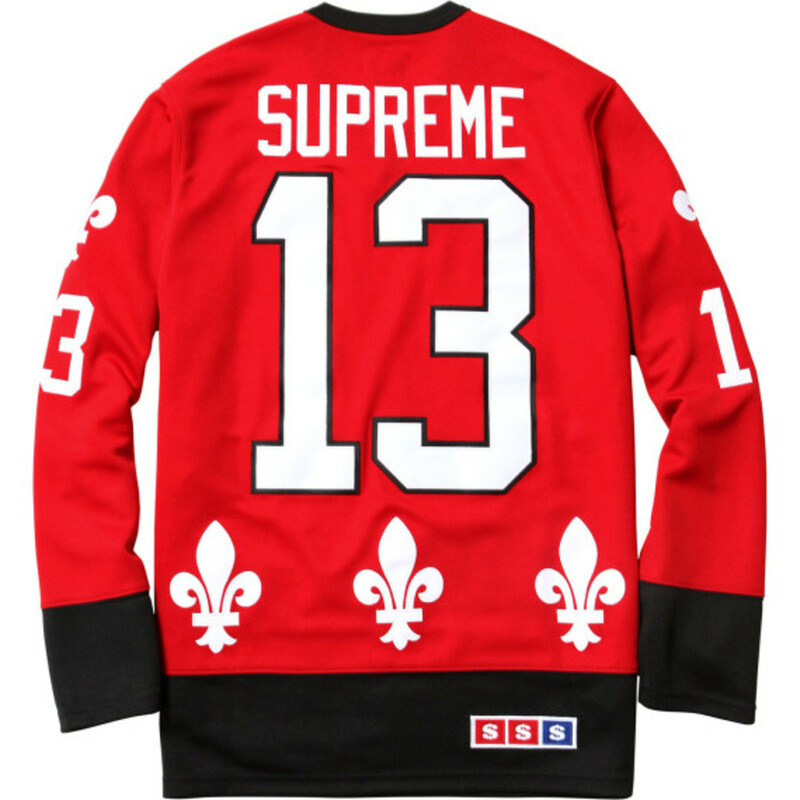 Tucked within their larger Fall/Winter 2013 Collection Lookbook, you&apos;ll find this gem from New York&apos;s Supreme: the Fleur de lis Hockey Top. 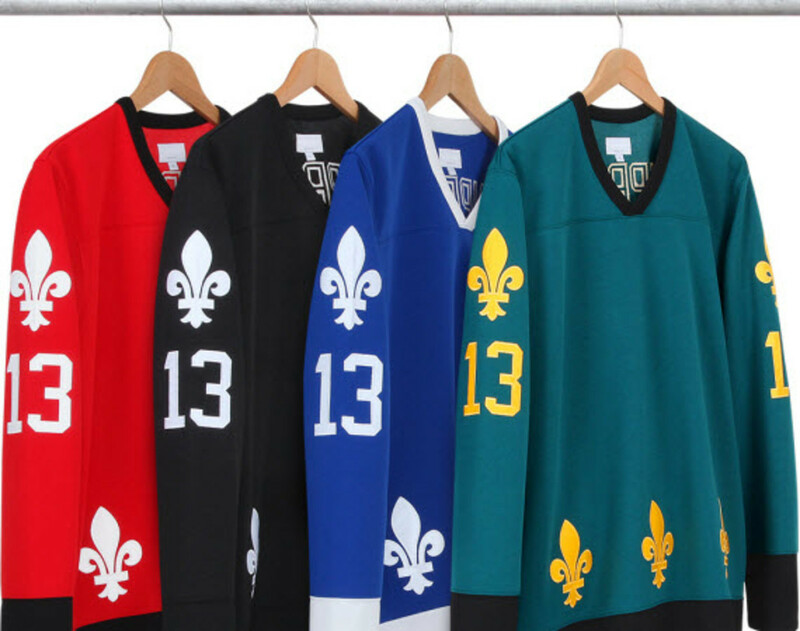 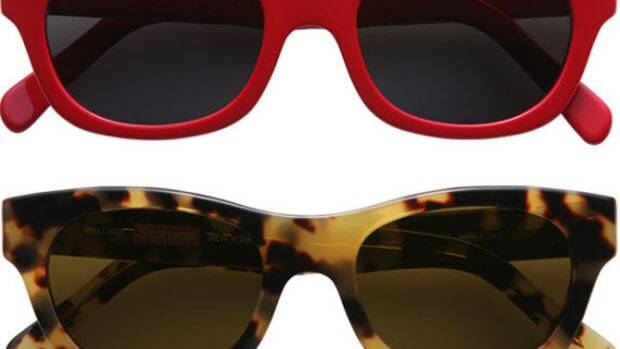 While outerwear is getting all the attention with the changing of the season, you can&apos;t over look your main layers, which could benefit from the addition of a piece as sharp as a new pair of skates. 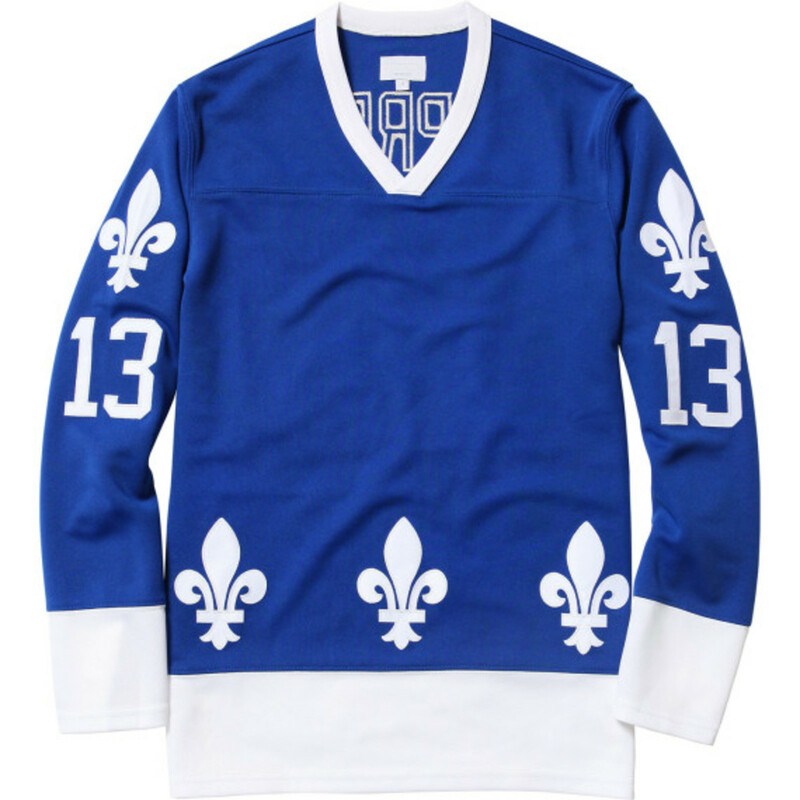 Queuing up to be one of the most anticipated pieces of the season from the long-time NYC trendsetter&apos;s, this Hockey Top harkens back to the OG Quebec Nordiques jersey, featuring 5 Fleur de lis symbols embroidered into the poly double knit body alongside a #13 on the sleeve and on the back. 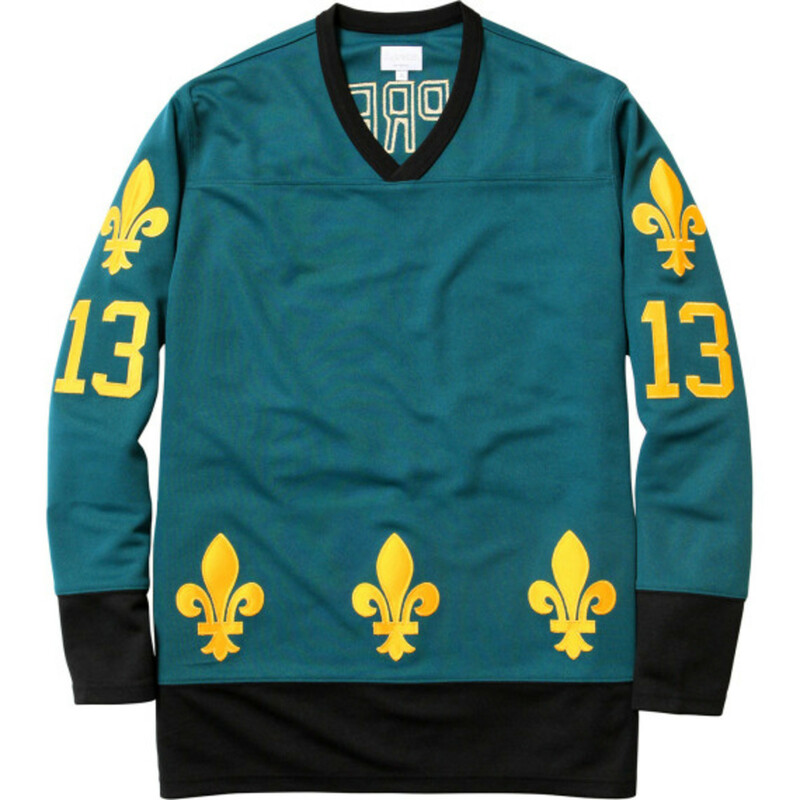 The jersey will drop in four colorways, from a teal, black, blue, and red, each with complementary trim to match the flare. 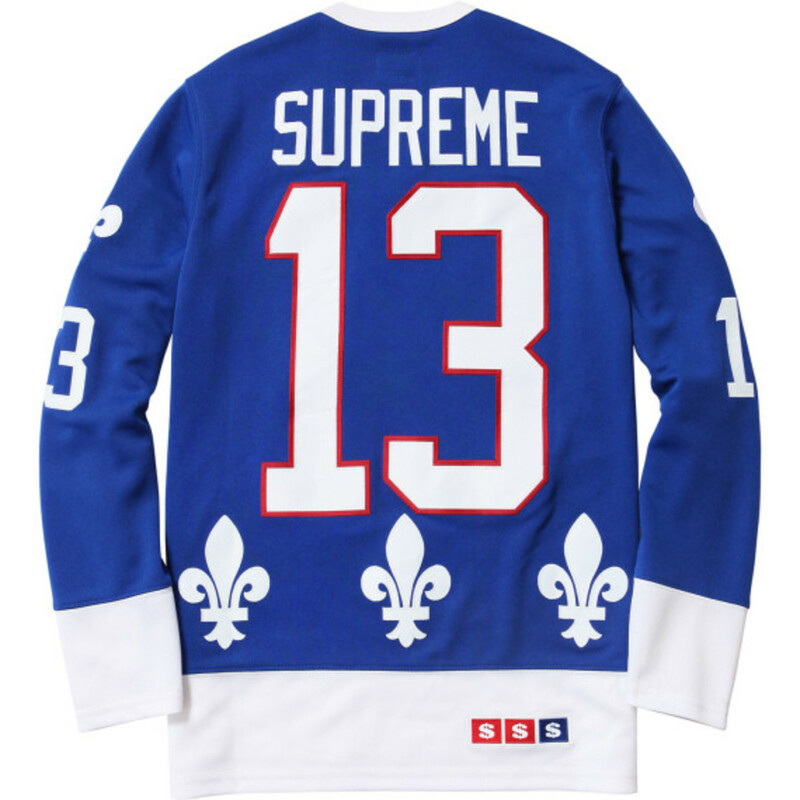 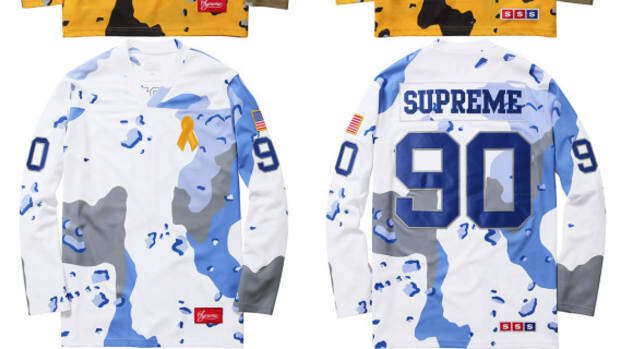 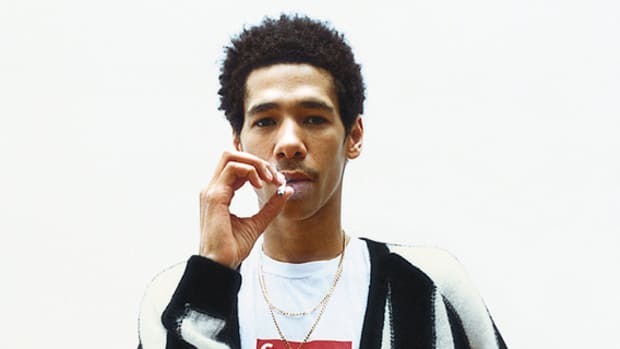 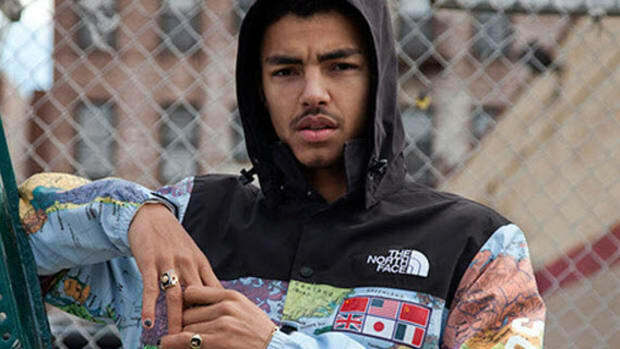 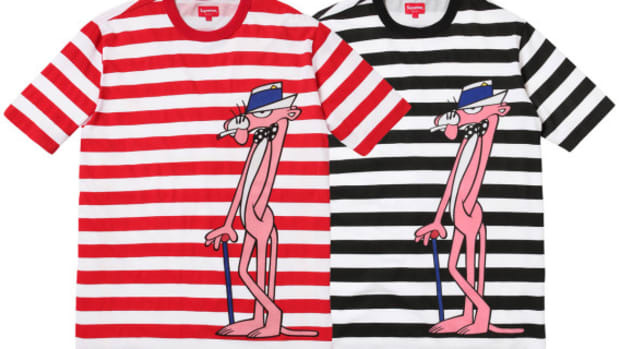 Keep an eye on the Supreme online shop and its retail locations around the globe where the jersey is available now.